Hawaii shallow-set longline vessel for swordfish. Longline Fishery: The Council agreed to develop a framework to effectively manage impacts to leatherback and loggerhead sea turtles, while maintaining fishing opportunities during peak swordfish season. The framework may include a limit on the allowable interactions between the fishery and the sea turtles, a temporary closure when a proportion of the loggerhead or leatherback limit is reached, measures for real-time spatial monitoring and management of interaction hotspots and fluctuations, and a communication program to facilitate implementation of these measures and to disseminate interaction information to the fleet. The Council will work with the fishery participants and its scientific advisors on a potential initiative giving the industry discretion to manage fleet-wide sea turtle interactions based on hard caps identified by the Council and the National Marine Fisheries Service (NMFS). This initiative could include industry-implemented transferable interaction quotas or other methods, such as risk pools. The Council will consider the draft framework at its next meeting, June 11-14, 2018 on Maui. The Council will also work with fishery participants to identify communication pathways to provide more timely information to the fleet on sea turtle interactions. US Territory Longline Bigeye Specifications: The Council recommended that NMFS specify a 2018 quota of 2,000 metric tons (mt) of longline bigeye catch each for American Samoa, Guam and the CNMI and allows each territory to allocate up to 1,000 mt of its bigeye catch limit. According to current stocks assessments, Pacific bigeye tuna is neither overfished nor experiencing overfishing. The Council further recommended that NMFS implement these specifications by July 1, 2018. 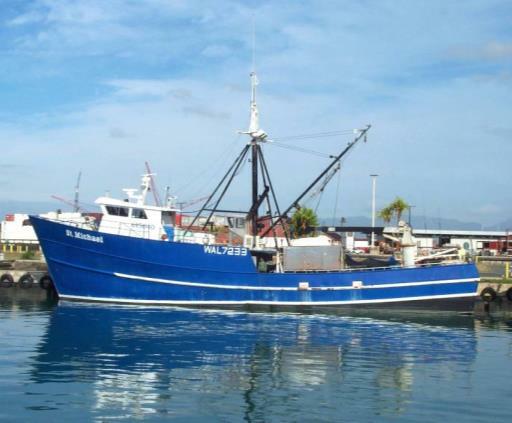 Additionally, as an initial action, the Council moved to modify Amendment 7 of the Pacific Pelagic Fishery Ecosystem Plan to allow the Council to specify allocation limits without having to first specify total catch or effort limits. Council staff will work with the NMFS Pacific Islands Regional Office (PIRO) to prepare the draft amendment and associated analyses for final action at the Council meeting in June. Hawaii Yellowfin Tuna Minimum Size: The Council recognized that prior analysis and community scoping by the Council and the Hawaii Division of Aquatic Resources on changing the minimum size of juvenile ahi (yellowfin tuna) indicated that an increase of the current minimum size from 3 pounds was not supported at that time as the biological benefits to resource would be minimal while the socioeconomic impacts to the community could be significant. However, the Council encouraged the State of Hawaii to evaluate the continued use of the “damshi-type” gear that uses hundreds of hooks on a branch line to target undersized ahi (less than 3 pounds) for commercial sale. In addition to evaluating enforcement options, the Council recommended that the State might also consider alternate management options such as gear restrictions and/or bag limits that may address the social concerns in the fishery. The Council will conclude its meeting today with considerations given to the American Samoa and Mariana (Guam and CNMI) fisheries and administrative matters. For an agenda and background documents, go to www.wpcouncil.orgor email info@wpcouncil.org or phone (808) 522-8220.